The DiMarzio DP218 Super Distortion S Strat Humbucker Pickup offers the performance of the famous Super Distortion in a humbucking Strat bridge direct replacement-size pickup. It's built with the same blend of power and tone that made the original Super Distortion the worldwide standard for high-output humbuckers. 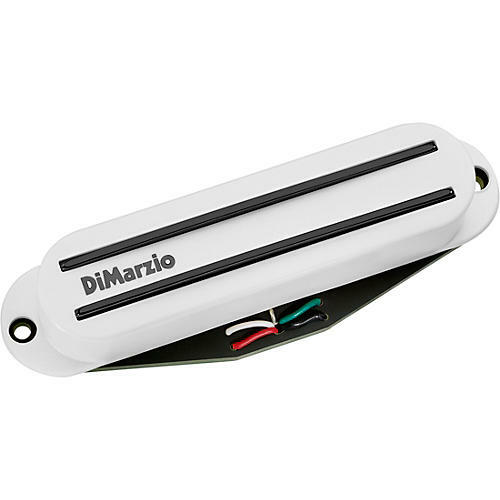 DiMarzio also tweaked the sound to take into account the fact that the Super Distortion S will be installed in the classic slanted bridge position. The new model has 4-conductor wiring for parallel humbucking and split-coil modes, and makes a great bridge position combination with the Pro Track (our sku# 302326), The Chopper (our sku# 302460), and Fast Track 1 (our sku# 302441).